In addition to professional performing arts training for all children between age 4 and 14, Crocodile Theatre Schools now provide Cross-Curricular Drama Lessons for home educated children. 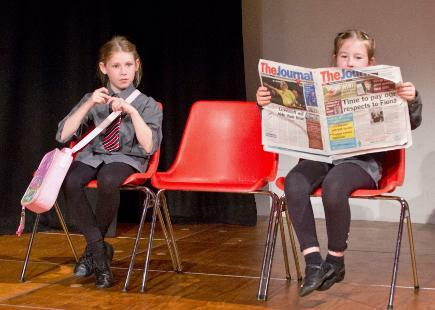 We believe that drama should be on the agenda for all students - with creativity at the heart of our approach, drama can be used as a tool to teach almost anything because it is accessible to all children at any stage of learning and development. Our cross-curricular subjects currently include Maths and English, and we aim to include History, Geography and other subjects in the near future. Drama teacher Sarah and primary school teacher Debbie have teamed up to offer a six-week Maths and English class with a difference! No workbooks, no worksheets, no tests...just fun and creativity, whilst learning Maths and English in a friendly, supportive environment. All classes will be linked to the National Curriculum. Classes are £6 per hour, payable on a half-termly basis. Current six-week block: Monday 7th January - Monday 11th February. Contact Sarah on 0777 606 1525 or email crocodiletheatre@mail.com for more details and to book your child's place.